The mission of the IAU Office of Astronomy for Development is to help further the use of astronomy as a tool for development by mobilizing the human and financial resources necessary in order to realize the field's scientific, technological and cultural benefits to society. 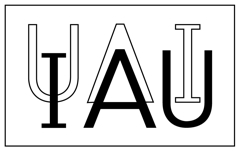 To stay informed about the activities and opportunities related to the IAU Office of Astronomy for Development, join our email list. To take part in astronomy for development activities, register as a volunteer. More info is available on the IAU OAD website. If you want to register for the Young Astronomers' Consulting Service (YACS), please fill in this questionnaire. The Young Astronomer Consulting Service (YACS) allows Young Astronomers to have one-to-one discussions with more advanced astronomers on their CV, thesis and research, as well as on jobs in astronomy, in a dedicated place during the GA. The Consultant astronomers are advanced astronomers with experience in specific research domains and in science management. Join our mailing list, register as a volunteer, take part in the young astronomers consultancy service by filling in forms here.